Has your veterinarian ever prescribed liquid oral medication for your cat, leaving you to wonder how the heck you're supposed to get it into your feline friend? After all, cats don't usually line up and sit pretty for any kind of treatment that wasn't their idea. Here is a step-by-step guide for giving your cat oral liquid medication. You may wish to wrap your cat's body from the neck down in a large, soft towel. This is a gentle way of restraining a cat, keeping his claws away from you, and keeping him calm. Having a helper to hold him steady while you give the medicine can also be helpful. Place your cat on a surface where you can get to him easily. Often, a table or counter that gets your kitty up high enough to reach without bending over works best. Stay calm and speak quietly. If you are upset, your cat will be more likely to get worked up, too. Stay calm, speak quietly, and offer your cat lots of praise and encouragement. Place your non-dominant hand over your cat's head. Your thumb should be resting near one corner of his mouth, and your index finger should be near the other corner. Tilt your cat's head up gently. Don't go too far or it will be difficult for him to swallow, but tilt upwards a bit so gravity can help you get the liquid down your kitty's throat. Your cat's lower jaw should have dropped a bit when you did this. Use the medication syringe in your dominant hand. Your cat's mouth should be a little open now, and you can use the syringe near the back of his mouth to gently open it a bit more. Don't put your fingers in your cat's mouth or you could be bitten. Try to deposit the liquid near the back of your cat's tongue. Gravity should carry the liquid down your cat's throat. If there is a large amount to be given, give a little at a time, allowing your cat to swallow in between. If the amount is small, give it all at once. If possible, ask the staff at the veterinary hospital to demonstrate the procedure to you at the time the medicine is prescribed. Always give your cat the full treatment of medication. Call your veterinarian if you're having trouble getting it into him rather than stopping the course. Your veterinarian may be able to give you a different form, such as a pill or topical gel, if you aren't able to give your cat the liquid medication. 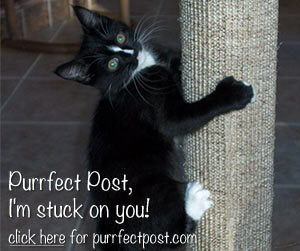 Quiz - Are You Making Cat Care Mistakes? Is In-Home Euthanasia Right for You and Your Cat?